The Throop personal injury lawyers have offices in nearby Auburn, NY. Throop is a town in Cayuga County, New York, north of the city line of Auburn. It was named after a New York Governor, Enos T. Throop, a resident of Cayuga County. The settlement began in approximately 1790 and was originally a hunting area for the Cayuga people. The town of Throop was formed from the nearby towns of Aurelius, Mentz and Sennett in 1859. The main highway which runs through Throop in a north -south direction between the City of Auburn and the village of Port Byron is NY State 38. In one such case, our lawyers were called upon by a Thrroop resident to bring an action for personal injuries and wrongful death on behalf of the family of a man who was struck by a rented moving truck. The injured party was making a left-hand turn into a driveway when the rental vehicle stuck his driver side while attempting to pass on the left. Our client was hospitalized for over 140 days. He sustained horrific injuries, including an acetabular fracture and dislocated hip requiring surgical open reduction and internal fixation. More significantly, he sustained a bruise of the lung, also known as a pulmonary contusion, with multiple rib fractures. As a result of the lung injuries, he developed acute respiratory distress syndrome (ARDS), which arises when the lungs do not function normally and get filled with fluid interfering with the exchange of oxygen and carbon dioxide requiring the use of a ventilator to breathe. The lung injuries were superimposed upon an underlying heart and lung disease from smoking. During his extended hospitalization, he passed away due to respiratory failure (ARDS) caused by the motor vehicle accident. The Cayuga County Supreme Court, at trial, dismissed the wrongful death cause of action apparently having bought into the defense argument that the post-accident pain, suffering and respiratory failure was caused by his pre-existing poor health rather than the motor vehicle collision. To add insult to injury, the court dismissed the spouse’s claim for loss of household services as well. Undaunted, the team of Throop personal injury attorneys at Michaels and Smolak appealed the decision and was able to reverse the Courts decision and secure a new trial for damages on conscious pain and suffering and wrongful death as well as loss of household services. A re-trial was then held. In the second trial, a Cayuga County jury awarded only 125,000 for pain and suffering. The court, in the second trial, made other very serious errors concerning medical related expenses and failed to award interest on the wrongful death claim. Again, the personal injury lawyers at Michaels and Smolak serving these Throop clients, were unwavering in their determination to get this family justice. They appealed the trial court’s decision and obtained yet another favorable appellate decision. On appeal, the Appellate court, determined that the conscious pain and suffering award should be increased to $350,000 as the prior award was far lower than reasonable compensation, and ordered a new trial on damages unless the defendants stipulated to that amount. In addition, the appeals court determined that the award for medical expenses should be increased to $176,269.18. Additionally, the trial court erroneously failed to provide for interest on that portion of the award. It is precisely type of determination demonstrated in this Throop case that sets the personal injury attorneys of Michaels & Smolak apart. No other firm in the Cayuga County dedicates its practice almost exclusively to this very specialized field of law. Because of its high success rate, many lawyers in the counties of Onondaga, Cortland, Seneca, Ontario and Cayuga (where Throop is located) refer their accident and malpractice cases exclusively to Michaels & Smolak. Many personal injury victims from Throop, which lies on the outskirts of Auburn, very near the law offices of Michaels & Smolak, have been represented by the firm. If you, a family member, a friend, or even an acquaintance is injured in Throop or anywhere in the surrounding area, the personal injury attorneys at Michaels and Smolak would be happy to discuss the case. Feel free to call us as we are easy to talk to and eager to take your call. 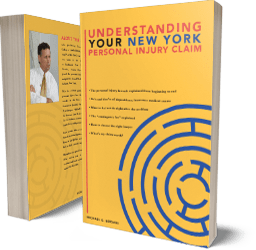 For those of you too shy to make the call, we would be happy, upon request, to send you our free book, “Understanding Your NY Personal Injury Claim” . It is filled with helpful and useful information to help you to better understand the personal injury claim process.